One of my favorite Russian poets, translated by one of my favorite North American ones. Born in Odessa in 1899, Anna Akhmatova spent most of her life in St. Petersburg, but died in a sanatarium in the Moscow suburbs in 1966. 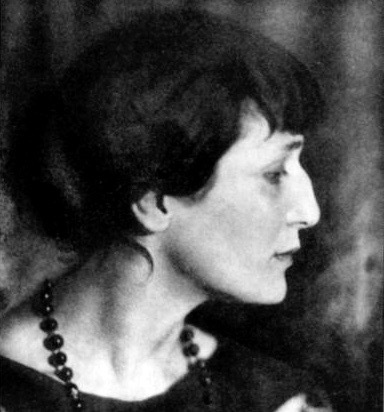 Akhmatova was part of the generation that included Boris Pasternak, Mariana Tsvetaeva, Vladimir Mayakovsky and Sergei Yesenin. The distinctive lyrical tradition she belonged to, which traces its roots back to Pushkin--another St. Petersburg poet--was carried into the late 20th century by her protege, Joseph Brodsky. This poem comes a collection that was originally published by Little, Brown in 1973 and is now available from Houghton Mifflin Harcourt. 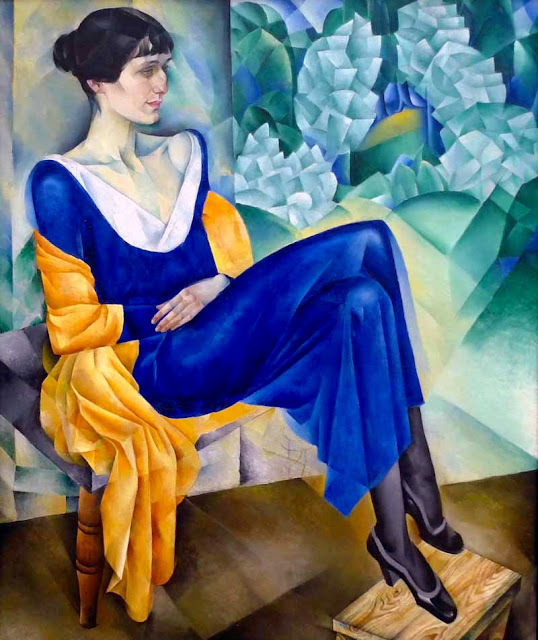 The 1914 portrait of Akhmatova by Nathan Altman (1889-1970) is in the Russian Museum in St. Petersburg; the photo of Akhmatova is undated but appears to be from about 1910. Hi Frank — I've always loved this poem (but the last line of the first stanza needs attention). Thanks, Read. I've fixed it. Anna Akhmatova passed away in Moscow, not in St. Petersburg. Thanks: I'll take care of that.